Following on from the post of a few days ago entitled 'Sketching Success' here is a worked up illustration. 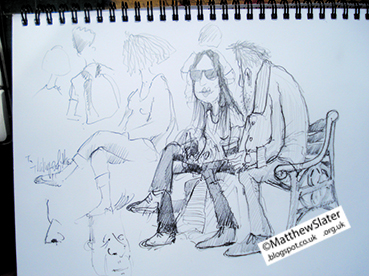 Here is a photo of my sketchbook. 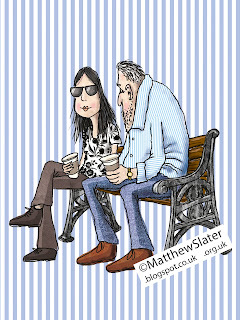 I was in Hitchin yesterday sketching people and seemingly out of nowhere this drawing appeared of a couple on a nearby bench. 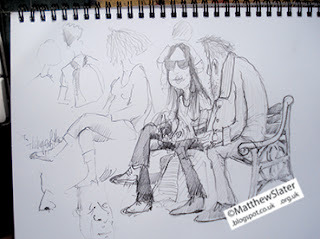 It isn't often I work in pencil like this as usually I work in pen quickly trying to capture a few outlines or shapes. The figures seemed quite happy to say put for twenty minutes or so and were oblivious to my regular quick glances in their direction. I was incredibly excited by this sketch for various reasons and will probably work it up into a proper illustration. 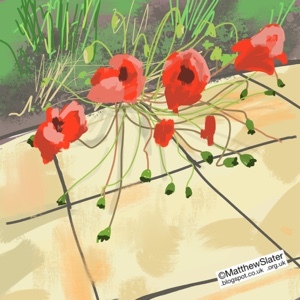 This is a quick sketch of the poppies growing on the east patio by the summerhouse - up beyond the vegetable garden and the top lawn. I built the patio earlier in the year but as it is SO far from the house we haven't used it much. The poppies are obviously relishing the newly disturbed ground and providing a delicate splash of colour near the lavendar bed. The gardener has further plans to landscape and refurbish this area of the estate but seems have to have got sidetracked by other things this summer. Whilst on a bike ride a few weeks ago passed some crows perched on top of a high hedge and looking very windswept. 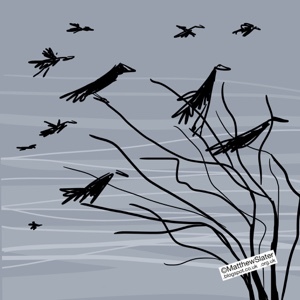 So here are some rather ragged looking crows.